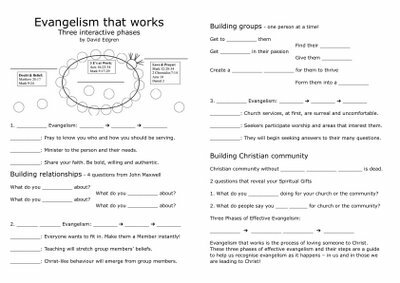 Here is the worksheet for my sermon "Evangelism that works." 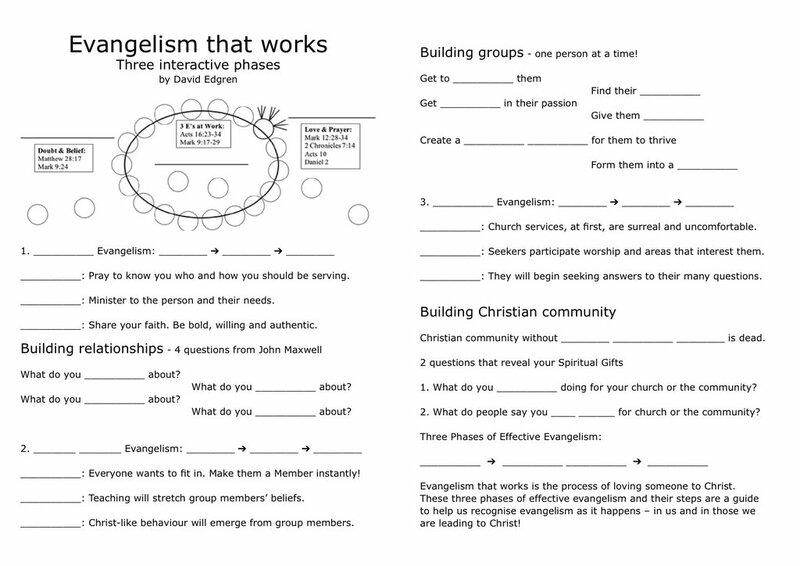 Click on the pic for the full size worksheet. It’s better to be first in mind than the first in the Media. It’s better for your idea to be a word-of-mouth than an advertisement. The world is a place with battling ideas, not battling products. Your reputation as an attractive and innovative idea-fountain is everything. Ideas that show generosity are attractive to people and will keep them near you. Don’t expect customers who can shop globally online for a new computer to take seriously the childish antics of the door-to-door Bible salesman. A brand is a corporate cognitive pattern in the brain of the customer. It takes 10 repetitions for a brand (or idea) to lock into a persons brain. CHECK position: When you are actually in contact with the client. Checkmate position: When the customer says YES. cannot say yes or no. A “meme” is a self-replicating element of culture, passed on by imitation. Good scorekeeping results in a better results, if your are lucky. Good service results in happier customer, every time! Mere scorekeeping is not the same as serving. It’s not the “close” that gives us the opportunity to win the customer. It’s the start. The more starts, the more customers. The more starts, the more sales. Strategy is all about control. If you are in control you are in a strategic position, if you are out of control you are in a strategic position. If you are out of control, you aren’t. Starting is a strategic act because we can control it but we cannot control finishing. We can control process, but we cannot control results. Perfect the process. Training exercises should be ¼ training and ¾ exercise. Workshops should be ¼ lecture and ¾ practice! Tomorrow: Set the number of times you will UNCHECK-TO-CHECK in the next 24 hours. Today: Record the number of UNCHECK-TO-CHECK you make yesterday. Meet yesterday’s goal. 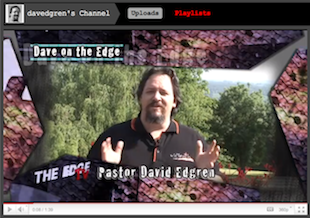 TEN-TIMES: Whatever you are planning, setting or doing multiply the expectation by ten and your results will grow. I've been preaching the "Double-Click" sermon from a hand drawn mindmap for the last few months and thought I should type it in so I can upload it. Click on the map for a bigger image. Start at one-o'clock and work your way around the mindmap. 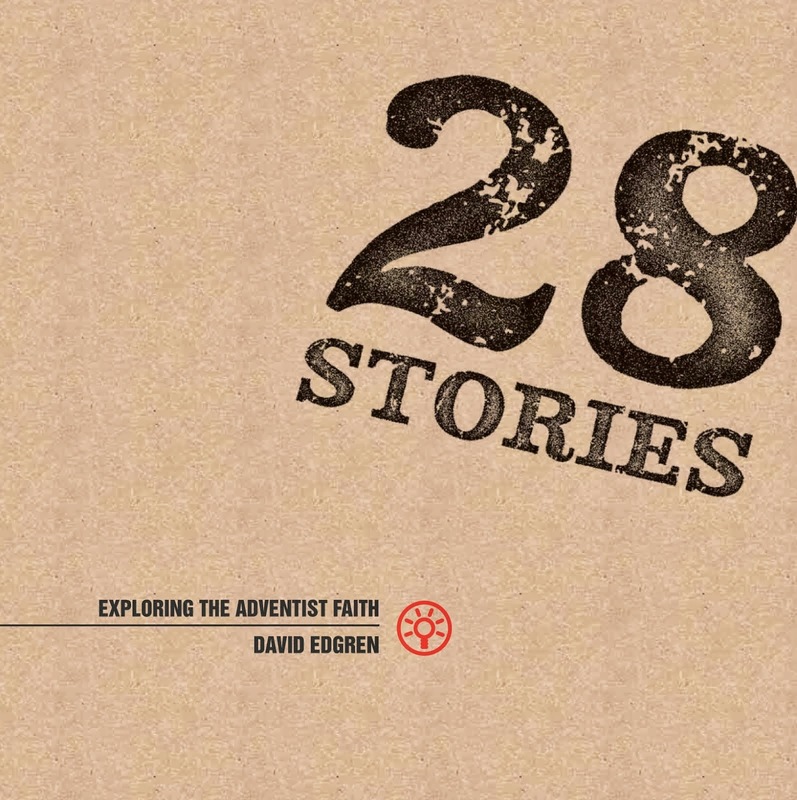 Last night I did a Big Idea Bible Study with a youth group from the Nunawading Adventist Church. We explored Genesis 1:26-27 together, then I had to leave for another meeting and they continued looking at three other passages in three small groups. I'm looking forward to finding out how the rest of the study went. Knowing the :!?... bible study format, it should have worked great!
? How far does the ruling go?
? Who is more like God?
? What sort of image?
? What does it mean to rule animals?